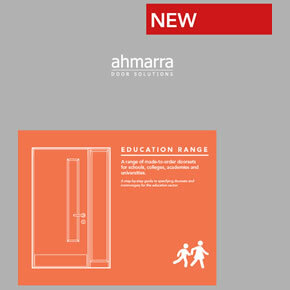 Ahmarra has relaunched its Education Range of doorsets for schools; a new brochure includes additional product information and a wealth of technical guidance. With refurbishment work in schools often taking place over the summer months, the relaunch of Ahmarra’s Education Range has generated a great deal of interest from architects and contractors involved in the sector. The company is currently manufacturing fire doors for several school projects; its Sales and Estimating team are working closely with contractors and architects who are looking to specify the Education Range for upcoming developments. Ahmarra’s range of timber doorsets and glazed screens have been developed for use in areas of heavy footfall which often have specific acoustic, fire and safety requirements, such as education environments. 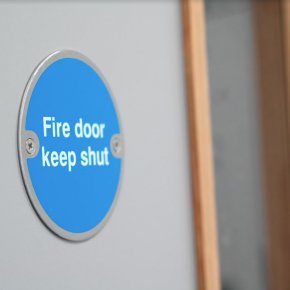 Its severe duty fire doors include ratings up to FD60, and up to 40 RwdB acoustic ratings. 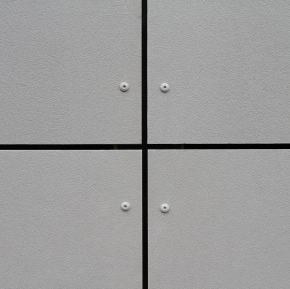 All materials used in the construction of the doors are FSC-certified. Ahmarra aims to provide tailor-made doorsets to meet the individual requirements of universities, schools and colleges. 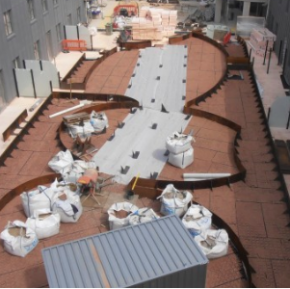 Its latest Education Range brochure comprises product information and guidance to help architects and contractors specify a suitable solution.